Collider is a contemporary fiction novel based on real science. The story will involve academia, scientific inquiry, and industrial espionage. 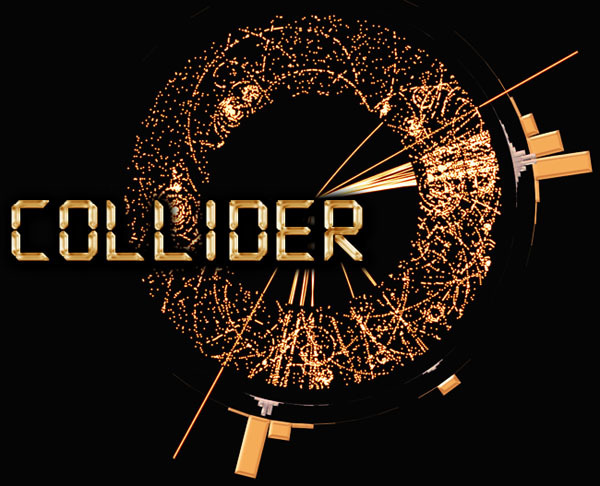 Collider takes place across the globe, but particularly in the UK at Cambridge and in Switzerland at the CERN laboratory. We are seeking engineers, particle physicists, astrophysicists, meteorologists, administrators, computer scientists, geologists, professors, psychologists, physicians and nurses, mechanics, nerds and geeks from all technical and academic persuasions, custodians, cooks, bartenders, spies, and intelligence officers. All applications will be considered. Please submit a resume/writing sample. Unleash your inner genius and consider being a part of a story that captures the imagination, spans the world, and seeks to understand the universe in a creative way through collaborative writing. The information contained herein is subject to modification as deemed appropriate by the Board Members. for the outstanding dust jacket design.